2019 has arrived and a new year means an excuse to make a change. It’s therefore the best time of the year to make the necessary adjustments that are needed to make your office work has efficiently as possible. 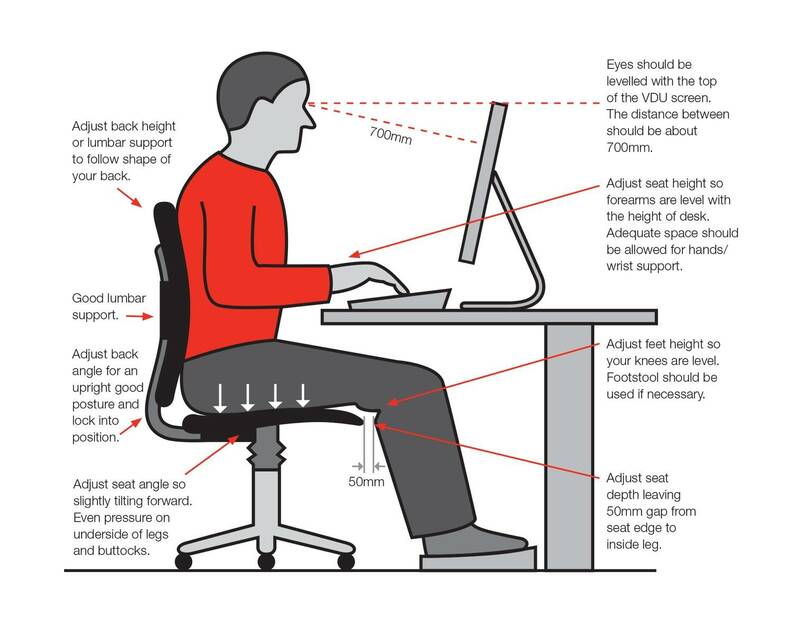 However, in order to achieve this, you must always remember one important criterion: ergonomics.Ergonomics relates to the study of working conditions and how they affect staff. Typically, this refers to equipment and furniture that can be utilised and/or adapted in order to increase levels of employee wellbeing and therefore productivity. This includes items such as chairs that support posture and sit/stand desks. Many businesses in the UK have started to recognise the importance of ensuring their staff are comfortable, happy and healthy. Moreover, a 2018 study by the Chartered Institute of Personnel and Development (CIPD)backs up the idea that companies that prioritise workplace wellbeing are more likely to report better employee morale and engagement, as well as a healthier culture and lower absence from sickness. However, the study also found that if an organisation was more “reactive” rather than “proactive” (they address the issue of wellbeing on an ad-hoc basis instead of having an implemented wellbeing strategy) then there was no progress realised from their wellbeing activity. How can Century Office help? Century Office are advocates for office wellbeing and their range of furniture reflects this. 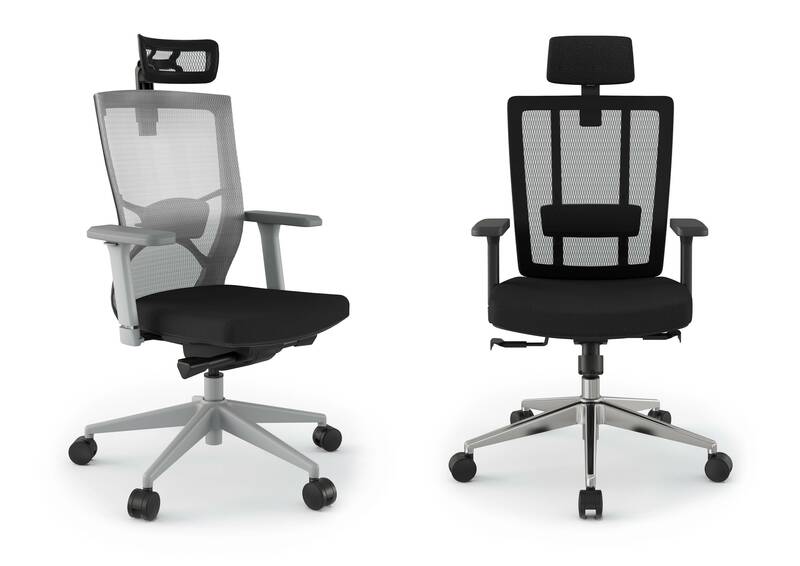 The newest additions to their selection of ergonomic seating are the Influence and Grace mesh chairs. They both boast extraordinary comfort as well as ergonomic support and can be adjusted in a variety of ways to fit your work environment and your body posture. They are the perfect addition to any workspace as they come with height-adjustable lumbar support, with or without headrests, and seat-depth adjustment. 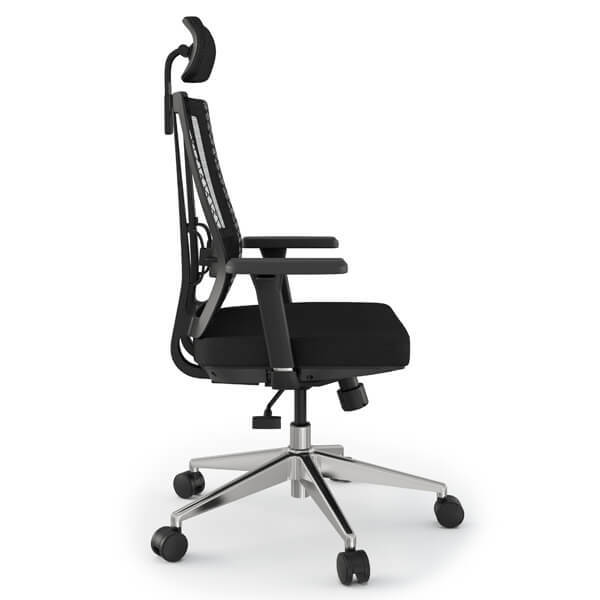 Adjustable active tension control, lockable back positions, and 3D height-adjustable gel arms pads provide the user with the ultimate flexibility to change their chair to suit a wide range of office environments. Grace can additionally be specified with a cantilever frame instead of a task chair, depending on your needs. Influence and Grace, as well as Century Office’s extensive collection of ergonomic office chairs, are perfectly suited to the sit/stand desks that they provide. Autonomy Pro and Liberty offer employees the chance to break up the sedentary day, thus helping to alleviate aches and pains. Each desk can also be specified to with different base colours, desktop colours and optional extras such as screens and can suit any budget. Sit/stand desks don’t have to just be for personal workstations anymore either as the Autonomy Pro desk also comes as a meeting solution. A sit/stand table is the ideal solution for quick group meetings; you wouldn’t have to worry about squeaking chairs or everyone shifting in their seats (the amount of which will increase the longer the meeting goes on. Having the option to stand will also help staff or clients to work collaboratively in a more effective way. After all, if everyone is trying to look at the same thing at the same time, being able to stand over it instead of stretching or bending awkwardly will mean that every individual can do so in a more comfortable manner. However, making a workplace work for its staff isn’t as simple as just buying suitable desks and chairs. It is important that you know how to use the chairs and desks properly otherwise you won’t be reaping the full benefits. This is why Century Office regularly speaks about the importance of C.A.P.S (Circulation, Activity, Posture and Support). The C.A.P.S initiative includes showing staff the functions of their chairs and how to achieve the correct seating position and posture, thus maximising comfort and productivity throughout the working day. Century Office are a leading UK office and contract furniture supplier, with over 40 years’ experience in the industry. They provide workplace solutions and offer a tailored approach for architects, interior designers & facility managers for small offices to large corporations as well as educational facilities. Please visit the Century Office website at www.century-office.co.uk or telephone 08000 929301 for more information. Century Office offers a complete service from survey and design through to supply and installation.